I first started stained glass back in '95, but life got the better of me and working in glass was set on the back burner for the last 12 or 13 years. I am just now rekindling my passion for glass. 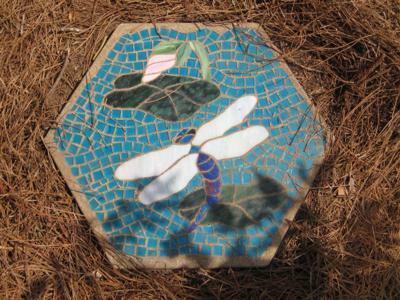 The dragonfly's body and wings are made of iridescent glass, while the lily pads are made from opaque glass and the water is made from cathedral glass. 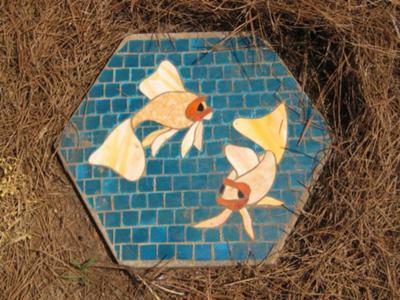 I envision a series of water-themed mosaic stepping stones in my garden.